What Are Dog Years to Human Years? The average lifespan of a dog depends on a number of factors including their weight, breed, and physical activity level. Different breeds have different flaws or weaknesses in their physical makeup, and every dog is different according to how their owner takes care of them. A dog who gets walked twice a day is going to be healthier than the very same age and breed of dog who is left to their own devices in the back garden all day. 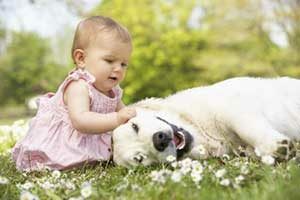 The relative health of a dog plays a significant role in estimating their lifespan. 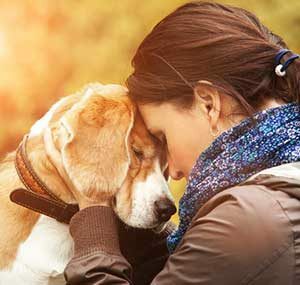 Sometimes, however, the common health problems of the most popular breeds can shorten the estimated life of your animal. Siberian huskies are beautiful and wolf-like, but are vulnerable to autoimmune disorders which can lead to more serious problems such as cataracts. Bulldogs with their characteristic squished up noses unsurprisingly suffer from respiratory problems, and Pomeranian often lose a lot of their hair, resulting in a medical condition known as alopecia. Nearly all of the most common or popular dog breeds have a health risk. Some breeds might only have a slight risk of skin or ear infections, while other breeds have more serious problems like an increased risk of getting cancer or diabetes. There are breeds that are seen as lower risk than others in the sense that they are perceived as the breeds that live the longest. These include certain types of terrier, poodle, and Australian Shepherds. Choosing a dog based on this hypothesis does not guarantee that your dog will live any longer than a mixed breed picked up at your nearest shelter. In fact, pedigree breeds can often be less resilient than mixed breeds, so lists such as these do not tell the entire story. Owning a dog is not without its risks, but as a committed pet owner it’s our job to ensure that our canine companions get the best quality of life we can offer. There will come a day when your beloved family member becomes ill, but until then it’s pointless to sit and analyze the imperfections of their breed or try to conjecture potential ways they will die. This type of thinking will lead you into a very negative place. Life is short, and this motto also applies to our animals. The best thing you can do is to put the negative thoughts aside and making the most of your time together. The main thing that comes as a surprise with regards to the dog years to human years conversion is the fact that each year isn’t the same. For example, during the first year of a dog’s life, they mature much more quickly than a human; even proportionally speaking. The popular myth about dog age is that one dog year represents seven human years. This is true to a degree, but if taken literally the calculation turns out to be inaccurate. This is because different parts of a dog’s life age them differently. The aforementioned first year of a dog’s life represents an astounding fifteen years of human life, so by the time they reach their second year they’re already well into their twenties. Moreover, the aging conversion has slightly different estimations depending on the weight of the particular dog. The lighter the dog, the more they benefit from this conversion. Therefore, as a general rule, the largest and heaviest breeds have the highest age conversion. Small breeds that weigh 20lbs or less are 80 (human years) old when they reach 16. Medium breeds that weigh between 21 and 50 lbs are 87 when they are 16, and dogs weighing over 50lbs are a shocking 120 years old at the same age. Thus, it’s clear that heavier dogs age much more rapidly than both small and medium breeds. The key to enjoying life with your dog is to not get too caught up in calculations and worrying about their age in human years. It’s harmless to find out, but make sure you don’t let your emotions take over when you realize your dog is reaching its twilight years. The most important thing to do is to make sure your dog is living a wonderful life, no matter what age they are.